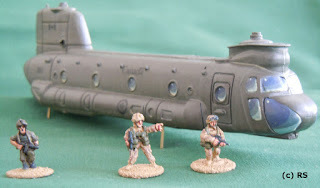 As indicated here, I ordered the fuselage of an RC toy Chinook to check its compatibility with 15mm and was pleasantly surprised to see that it was in fact the correct size. Here is a closer look at the beast which was quickly slapped together without too much care. It is still lacking engines and wheels which are on their way to me. Rotors also need to be added and I plan to use clear acetate disks to represent them. These will be held to the model with rare earth magnets in order to make storage easier and swap them from model to model. The first thing you will notice is that the hard plastic is rather thin and, as a result, the shell appears to be quite flimsy and somewhat lacking in rigidity. This is no longer an issue if you glue a rectangle of plastic inside the body (slightly over 8 cm by 3 cm) which is necessary anyway if you want to save some money by not ordering the bottom plate. 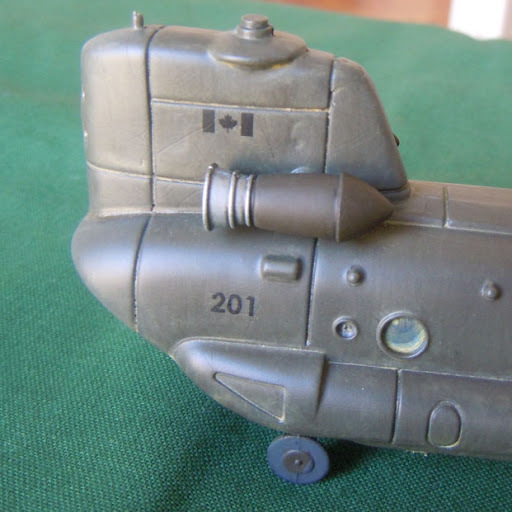 Overall, the shape of the fuselage is relatively well captured for a toy. The panel lines are definitely on the heavy side but this doesn't really detract too much from the model and eases painting. 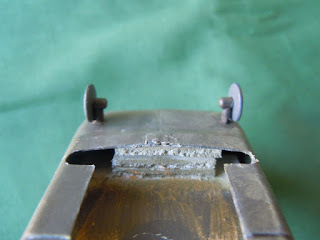 The fuselage has a few points for holding screws that must be removed and ventilation holes under the rear rotor for the RC motor which were filled in with epoxy putty. The particular fuselage I received was lacking the parts representing the cockpit glazing areas so this was also filled in by pushing some putty into each half and sanding to shape. 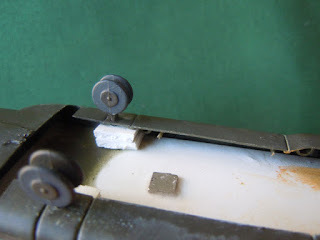 The center of gravity of the RC toy is obviously quite different from that of the actual machine and, as a result, all four wheels are too far forward and will need to be repositionned where the brass pegs are. The model was also used as a testbed for colour and weathering and since it didn't turn out too bad, I also tested some homemade decals to depict one of the tired dust buckets which the Royal Canadian Air Force purchased from the US. On further builds, I will probably fill in some of the recessed "details" (most of which is imaginary anyway) on the sponsons because they interfere with correct decal placement. Overall verdict : this is a cheap source for a 15mm Chinook that is in fact quite useable and I have some more on the way to my letter box. Update : Here are some quick photos of the chopper with engines and wheels which do make it look rather better. These parts haven't been weathered yet so there is a colour difference. Excellent post. 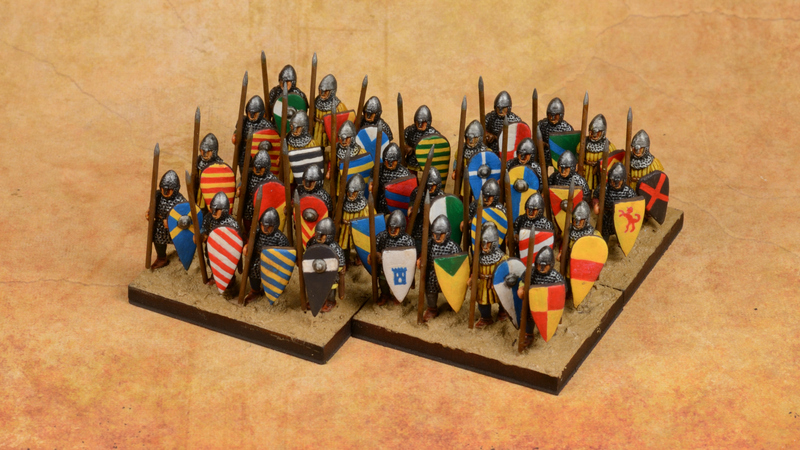 Have you any update on these models. I ordered some myself and am looking for tips on assembly.... the plastic seems quite flimsy - how did you find it took the paint? Well, I did finish this one and it looks better with engines and wheels though I haven't had time to photograph it yet. As I wrote above, without the bottom plate, the model somewhat lacks rigidity around the middle of the fuselage but this was fixed with a piece of 3mm thick PVC foam I had lying around. This was cut to 8 by 3 cm and inserted into the fuselage before closing the two halves. I then secured it to the top of the side sponsons with superglue while the model was inverted. This made it very solid. I got a few more models since and these came with the bottom plate which does add quite a bit of rigidity and make the internal bracing superfluous. As for all the holes , I superglued very thin plasticard from my stash of offcuts on the inside and then filled them with putty. I found that the plastic doesn't sand too well but it takes paint without any problem. I simply airbrushed Vallejo Air acrylic paint straight onto it without any primer and it was as simple as painting an Airfix kit. Fantastic, thanks for the tips. I may invest in some bottom plates (for the sum of £1.40GPB). I thought these would require primer, but I guess they are already painted on the outside. Look forward to seeing your finished models. I've updated the post with some quick pics of the chopper (not quite totally completed but almost there) showing the internal bracing. I didn't remember about the bits I added to anchor the wheels in their new position... Internal bracing may still be needed even with the bottom plates. I'm interested in any updates you may have, how did you get on with rotor blades? Still haven't gotten around to ordering some, I'm afraid. 28mm WW2 Late War Germans 2nd Squad - 2nd Squad finished! Good Day - Well this is the first post on Werwulf's War Room. Basically this will be a spot for me to put down what's going on in the WAR Room.